Our Roundhouse Barn Holidays journey started one wet and windy autumn Sunday afternoon in our cottage in Shropshire in 2006. Barbara was reading the property bit of the Sunday Times and came across a postage stamp-sized advert that said “Live by the Sea with an Income”. We’d always wanted to come back to Cornwall to retire. Barbara had worked here for over 20 years before we met up. We had a close circle of Cornish friends that we used to visit regularly. But having moved to Shropshire with work, could we “up sticks” again, relocate nearly 300 miles away from where Mark was working and realise our dream of living in Cornwall? When we first walked in the front door, we fell in love with Roundhouse Barns. We could see the potential, but the cottages were in a pretty poor state. And the price tag was too sporty for us. We offered what we believed to be a fair price, but negotiations broke down and we walked away. That winter, we holidayed with some close friends and got chatting to them about Roundhouse Barns. Over a wine-fuelled evening, they said to go back and offer again in the New Year. They even bought us a Visitors Book as a Christmas present! They, rightly, said to us that property market was booming – our existing property was worth more that we thought it was and some fag packet calculations showed that if the vendors could give a bit, we could probably buy. And so began our Roundhouse Barn Holidays adventure. We did move to Cornwall. 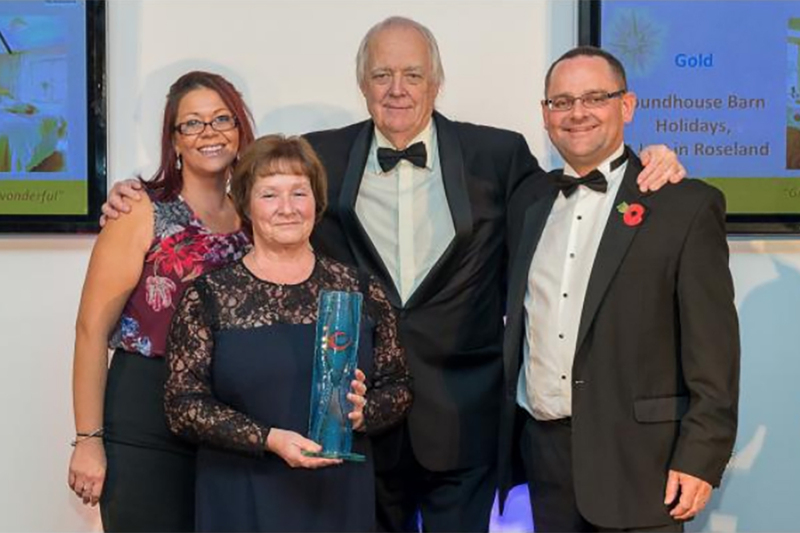 Mark did continue to work in Shropshire during the week, making an eye-watering (and exhausting) 600 mile round trip whilst Barbara set about learning the hospitality business and planning our extensive refurbishment works. Many of our guests have asked us what drove us to create Roundhouse Barn Holidays and where we got our inspiration from. It’s simple really. We have been fortunate enough to stay at some amazing places around the world and admired the standards of service and hospitality we’d received. We also wanted “out” from the IT Industry. So whilst we were still in our 40s, we thought that we’d change tack and enter the “top-end” holiday cottage business. We drew our inspiration from our life experiences. We wanted to set up something that was small, luxurious and personalised for our guests. Everything from beautiful kitchens and comfy beds with 400 thread-count bedding to luxury bathrooms with underfloor heating, loads of piping hot water and large super-soft towels to wrap yourself in. And the website had to be easy to use. 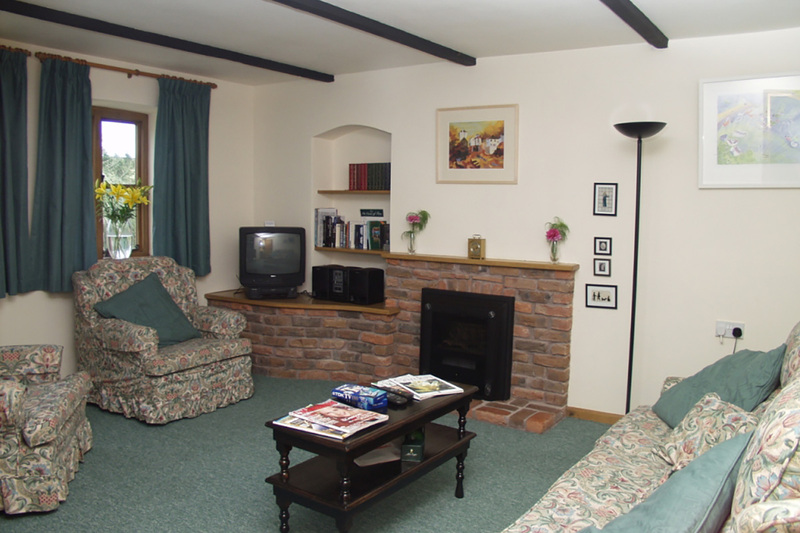 Guests had to be able to book on-line and have an immersive experience before they arrived so that they could see what our cottages looked like. We’d seen so many websites who’s photography was at best slightly misleading! The day that the final phase of our refurbishment completed, the grading inspector arrived. We were literally in tears when she proudly announced that these were some of the best cottages she had ever seen. 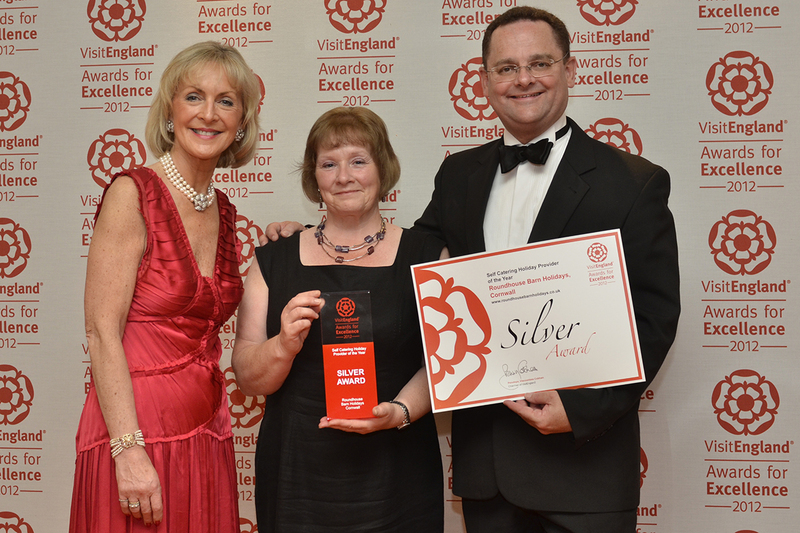 She then old us that she was going to award us 5 stars and a gold award for all three of our cottages. 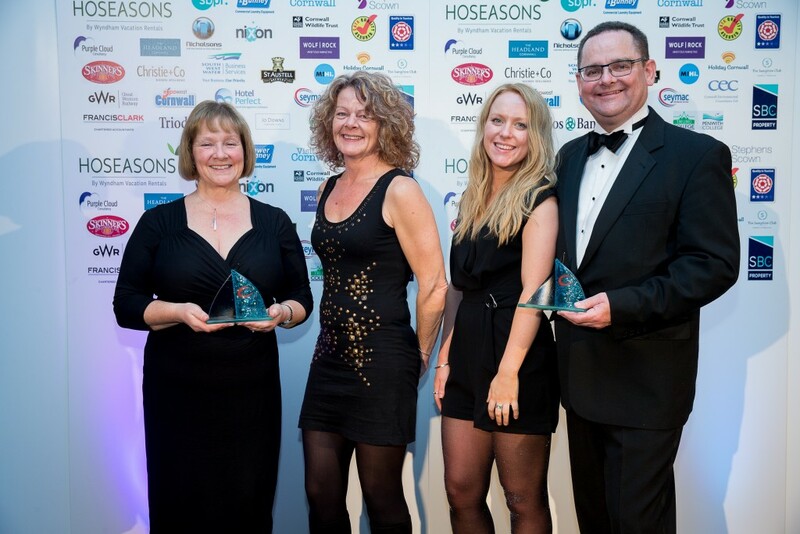 From then onwards, we won Best Self Catering Cottages in Cornwall in 2010 and 2011 and were runners up for the entire South West in 2011 and 2012. To top it all, we were runners up nationally in 2012 as well. Yes, nationally! There is much that we’ve done that everyone can see – like the beautiful oak floors and roll-top baths. Some of our most challenging times were when the things that you can’t see went wrong. For example, our original septic tank failed mid-season in 2013 and we had to install a new sewage treatment plant. Amazingly, the works were completed in 4 days. We also have our own private water supply, but one day in 2012, our gardener accidentally left the greenhouse hosepipe on and we ran out of water. Our boreholes ran dry and Barbara had to call the fire brigade to deliver us 5,000 litres of water whilst our boreholes recovered. We never wanted to be in that situation again so we drilled a new borehole to a depth of 90m and upgraded our water storage tanks. We also had two separate water leaks that flooded our gorgeous cottages and trashing the oak floors we had just laid. Throughout, Barbara held it all together and was calmness personified. Whatever setbacks we’ve had, our guests have always stuck with us – and this is what keeps us motivated. 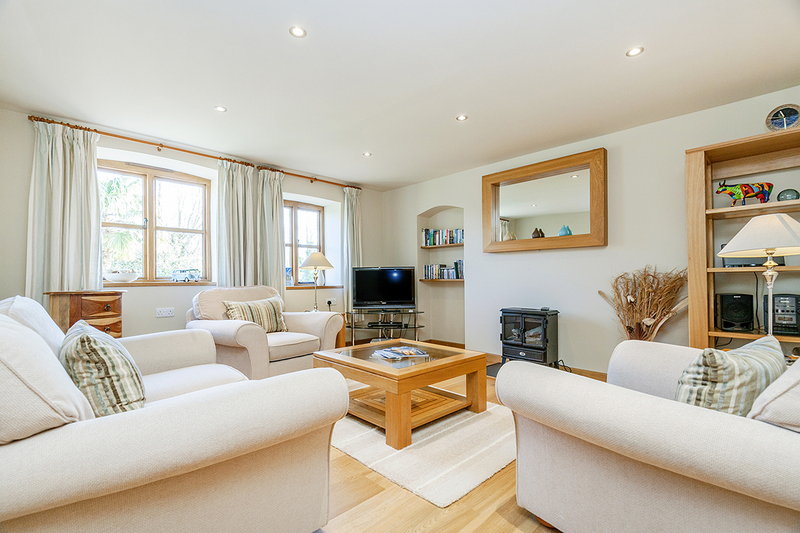 We know how precious holidays are; and we’ve always strived to deliver the best possible holiday experience for all of our guests – from scrupulously clean cottages to a warm welcome with scones and clotted cream on arrival to being on hand to answer questions and to provide tips and pointers to our guests during their stay. Come and give us a try if you’re looking for a personalised, luxury, adults only retreat in one of the most beautiful parts of Cornwall. Maybe one day, you too may embark on a similar journey!